Sorry I’ve been MIA. Last week I was battling a rather severe cold that wiped me out for two full days. 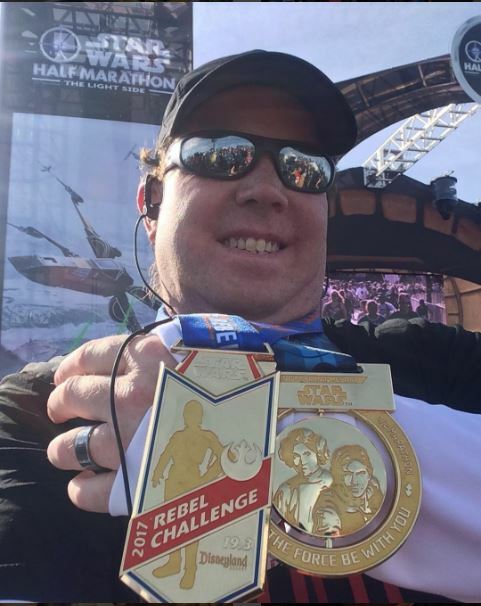 Star Wars Half Marathon Week was a really good week for me in training. I ran on the Tuesday before the race in the rain. Yes, I cut the run short by a mile. However, I’ve never had to put up with so much rain to run in before. So, I consider it a victory as it rained the ENTIRE run. 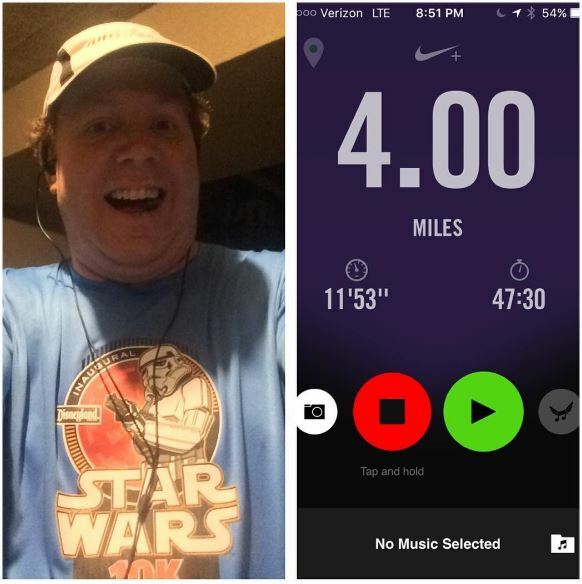 After the Expo for the Star Wars Half Marathon, I went out for 4 miles. It rained all day, but stopped by the time I got out and ran. As you can see, my time was much better. You’ll probably notice that my Garmin figures aren’t in these pictures. There’s a reason for that. Somehow, in the rain soaked Tuesday run, I inadvertently stopped the run early. 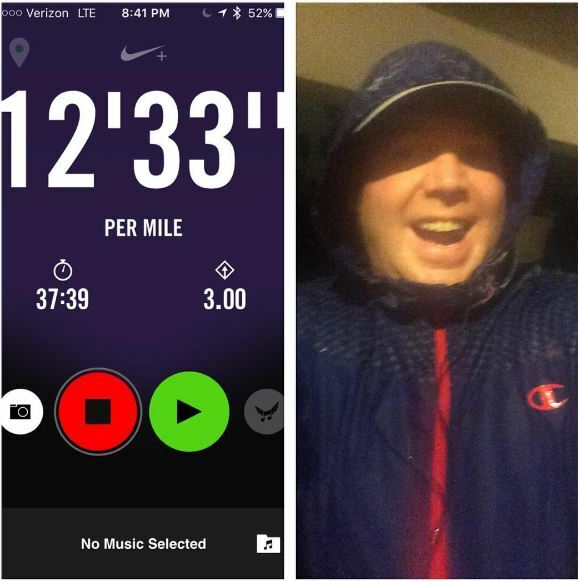 Since it was raining pretty steadily, I decided to just go with whatever the Nike Plus App said. On Thursday, while I was at the Expo (again in the rain), my watch blanked out on me. So, it wasn’t available for this run on Thursday. 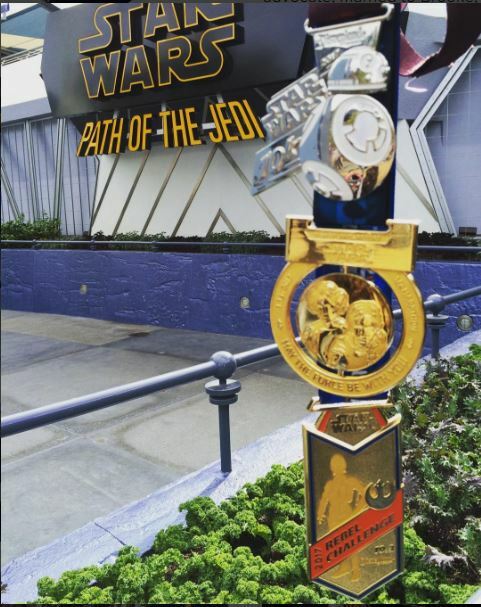 Run number three of the week was the Star Wars 10K! That race was too much fun for words! I finally got a pic with BB-8!!!!!!! Last year, the lines were simply too long. As I’ll detail in a proper recap, this year, it was sort of a mission of mine to get this pic. As a result, the 10K wasn’t all fun and games. I did have to push my pace while I ran so I could have time in lines to wait for pics. 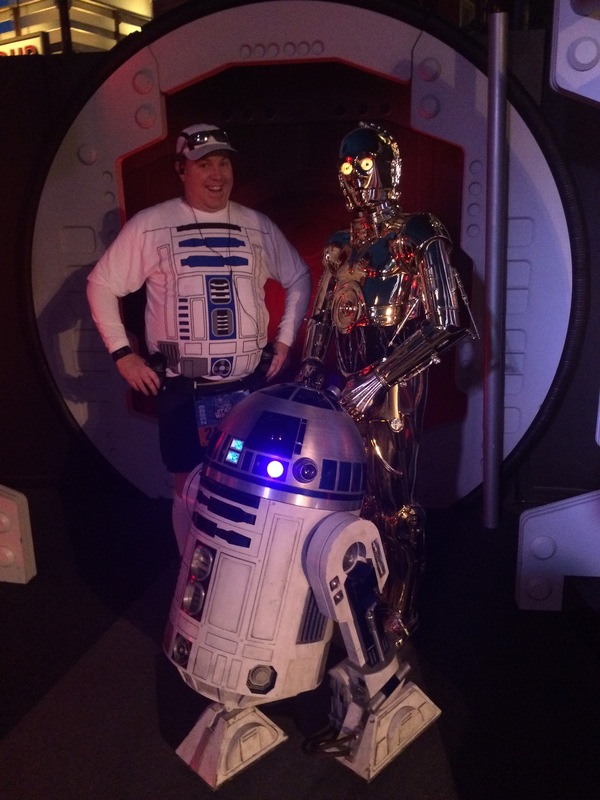 I also got this pic earlier in the race with C-3PO and R2D2! The boy did his first runDisney race on that Saturday after my race. He almost finished the whole thing. 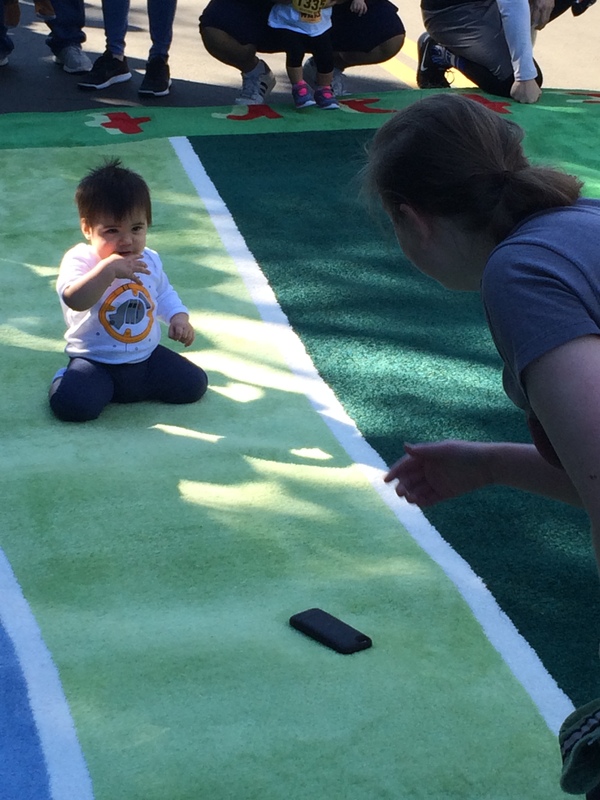 To be honest, he wasn’t too sure of the surface he was crawling on. However he did get his first medal! 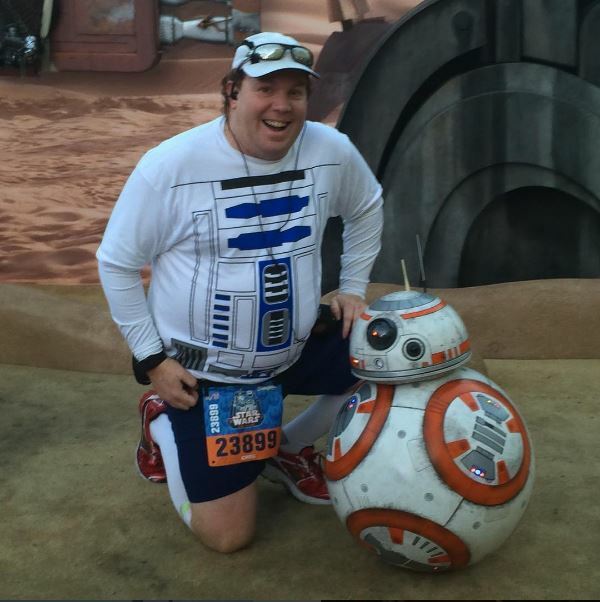 Run number 4 of the week came at the Star Wars Half Marathon! With that, I not only finished 4 runs in the same week for the first time in forever, but I also completed my 3rd Star Wars Rebel Challenge! 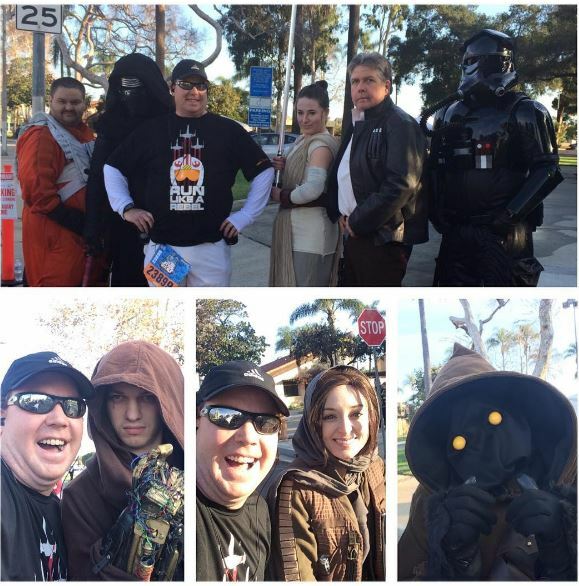 I had too much fun on the course with the 501st Legion. They did not disappoint! 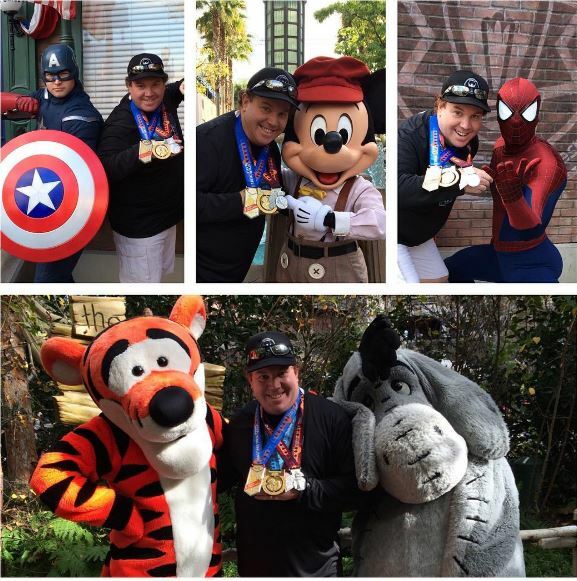 After the race, I had fun with some characters in the theme parks! 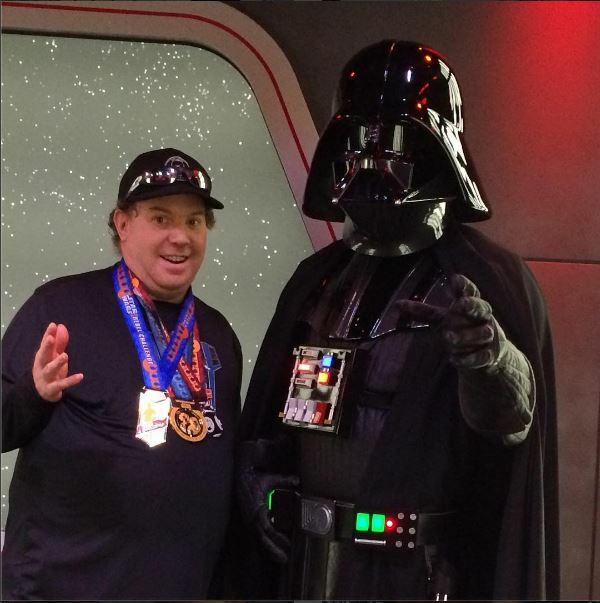 Darth Vader wasn’t too pleased with my “Rebel Propaganda.” Maybe he was using the power of the force to get me to run the Dark Side Challenge? Hmmmm. Time will tell. 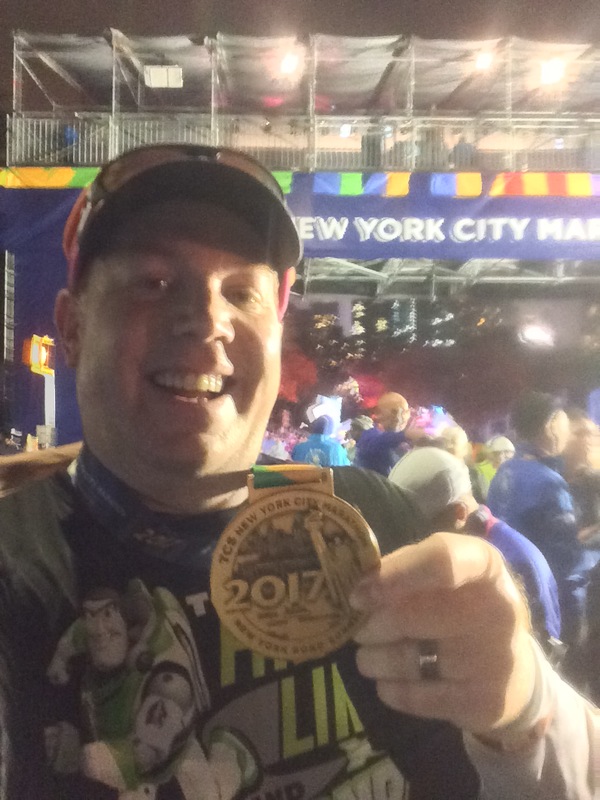 So, why did I title this post “To Marathon or Not to Marathon?” It’s simple. After finally getting back to a 4 workout week, I was down for the count sick. The rainy, cold, damp weather we had that week in Southern California did me no favors. So, instead of following up a 4 run week with another, I got the big ZERO runs/workouts in. The Star Wars Rebel Challenge was my first challenge race as a daddy. 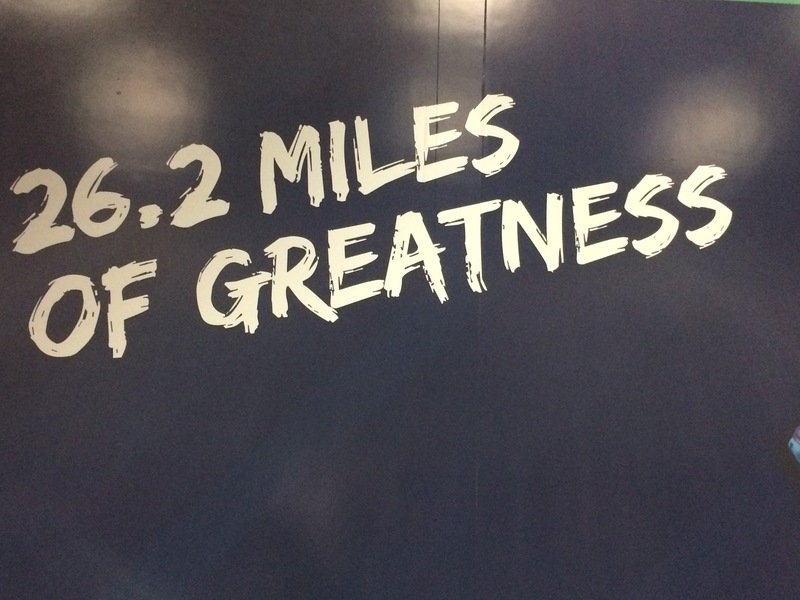 It’s a fact I thought about a lot during the last few miles of the half marathon. It’s a fact that made me a little emotional in those last couple miles. 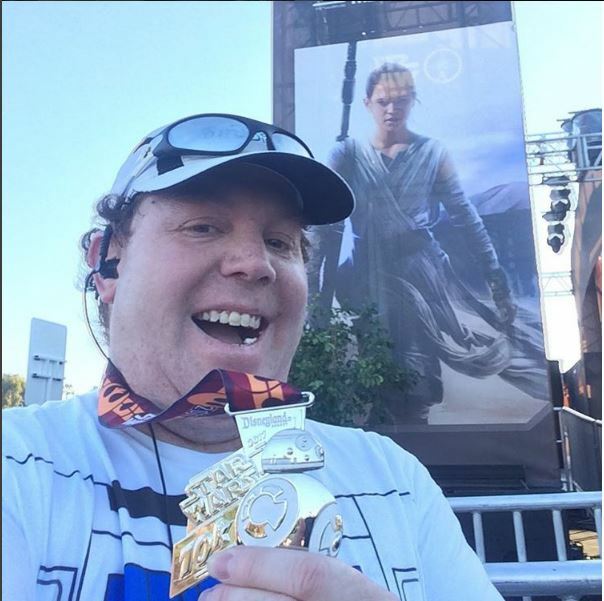 I finished the Star Wars Half Marathon with no physical problems. There were no leg cramps this time. I was a little tired. However, for the most part, I hit every run interval. Yes, I tired out a little at the end. But, I made almost every run interval as planned. My slow time was expected. I did spend too much time taking pics. But, I did it as a dad. Unfortunately, being a dad meant that I didn’t get my usual naps on the race days or extra sleep on the day after the half. Ultimately, I think that lead to the full blown cold. All that leads to race day. It’s like cramming for a final exam. It can be done. However, I would have been better off by getting my long runs in earlier in the cycle. I’m not entirely sure 7 weekend runs to get ready to tackle 26.2 miles on March 19th. Can it be done? That is the question I’m working on right now. On Monday, I looked at my alternatives. 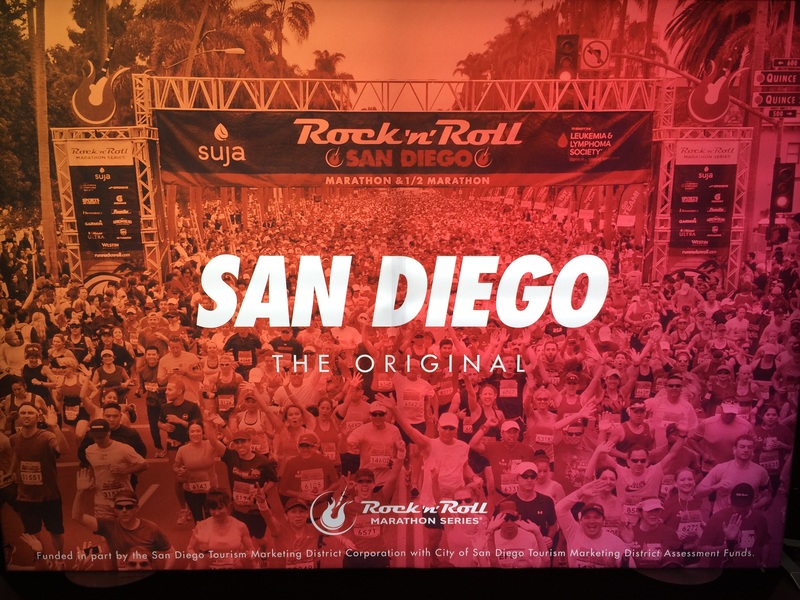 I’m registered to run in the 2017 Rock n Roll San Diego Half Marathon and 5K this June. If I were to go for a full training cycle for this race, week 1 is next week. Now, I do have a training plan that gets me to the TCS NYC Marathon in November with the RnR San Diego Half Marathon as a goal race on the way. So, if I do decide to run the Los Angeles Half Marathon with the crazy weekend runs I need to get there, I’d be in good shape to hit the RnR San Diego Half Marathon training. However, if I skip the Los Angeles Marathon, I can sort of hit the reset button on training which might be a better mental approach. As I mentioned way back, the TCS NYC Marathon is my huge goal race of the year. The goals I set for the 2016 Avengers Half (not met), 2017 Los Angeles Marathon, and 2017 Rock n Roll San Diego Half Marathon were all to keep me motivated. Training as a daddy has been harder than I thought it would be. So, the reset might be just what I need to accomplish all I want to accomplish in New York this May. So, my back is against the wall. 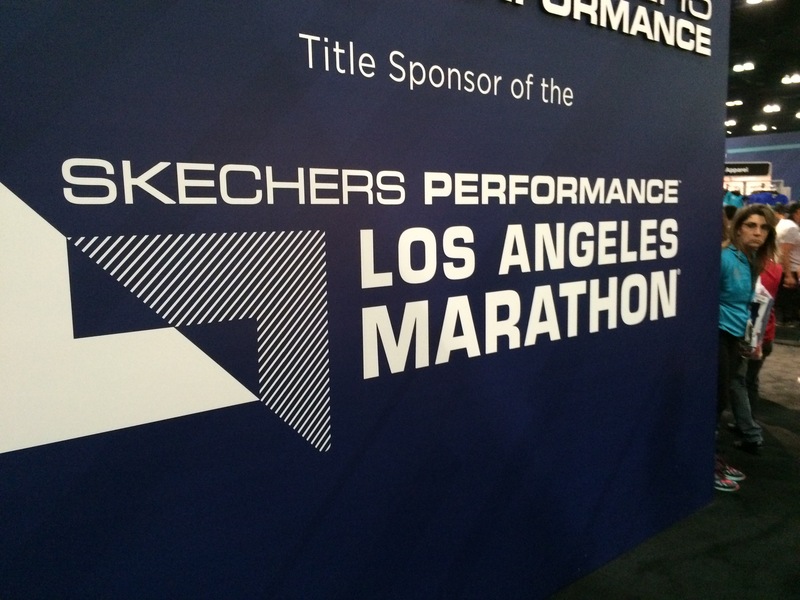 If I’m going to marathon in Los Angeles this March, I can’t have any more excuses. This weekend will be go time! 2017 Star Wars Half Marathon Merchandise Preview!!!!!! Today We Finalize the Adoption of Colton! 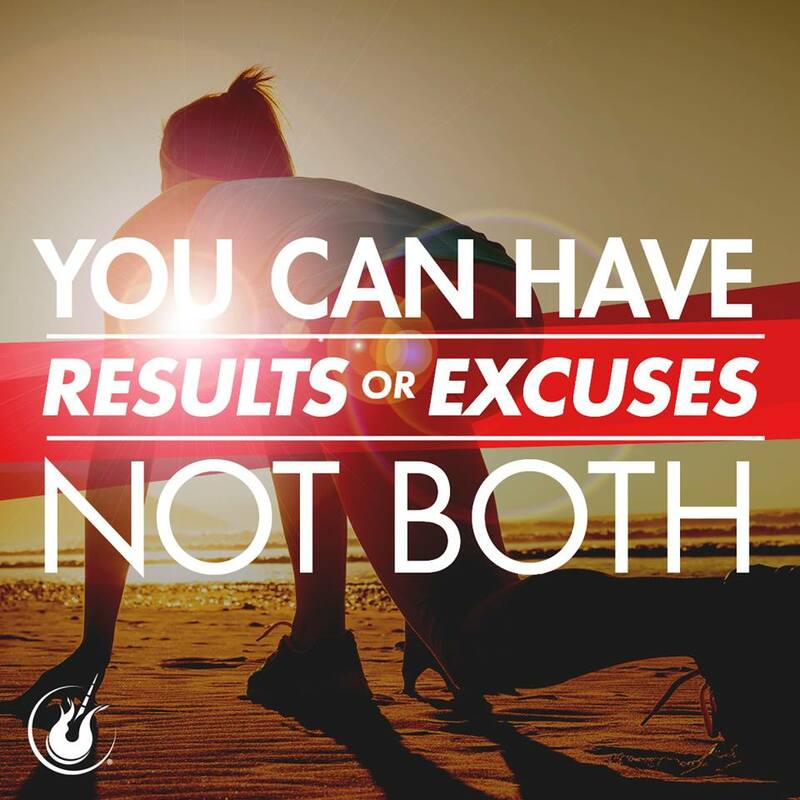 great recap for the week-the rain has really thrown me off as well and I also got sick! finally feeling better and trying to stick to all of my workouts! best of luck on your long run this week!